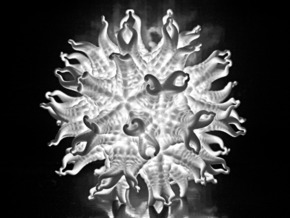 The Hydra light is a part of a three dimensional fractal. 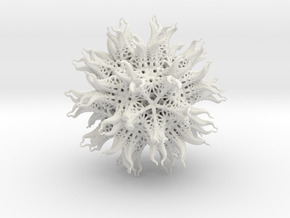 So its organic design is based on pure mathematics. The Hydra light (large) can easily be illuminated by a LED light-chain. The LED light-chain can be inserted through a hole at the bottom with a diameter of 10 mm. On all my designs I charge a markup of only 15% plus 5 $.